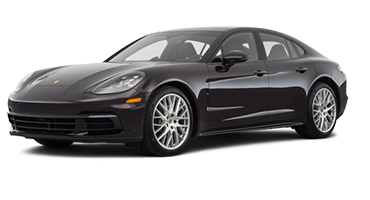 The new Porsche 718 Cayman is the elegant luxury coupe with enough power to take your breath away. Get heads turning wherever you go with the new Porsche 718 Cayman, the luxury coupe whose impact is undeniable. The 718 Cayman leaves a lasting impression everywhere it goes, with a sporty design comprising striking lines, sculpted contours, and Bi-Xenon headlights. Inside, you’ll discover an interior that matches the sporty exterior with sport seats that hold you around corners and an ascending center console designed with performance-driving in mind. 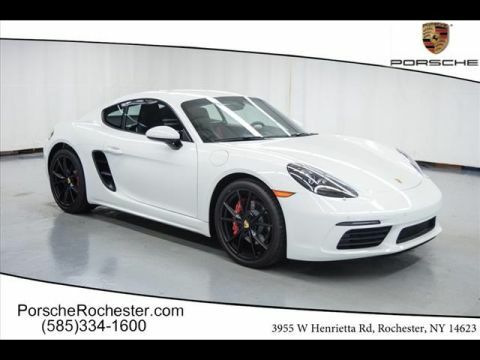 Whether you’re racing to Fairport, commuting to Webster, or meeting friends in Irondequoit, the new Porsche 718 Cayman ensures all eyes will be on you. Porsche earned its fame not just for its elegance and style but also its stellar performance. 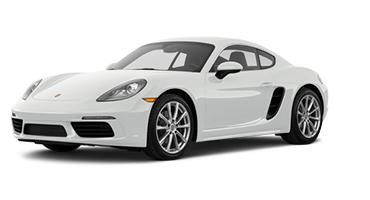 The new Porsche 718 Cayman is no exception with its 2.0-liter turbocharged engine that takes you from 0 to 60 mph in 4.7 seconds. That’s sure to get your adrenaline pumping. 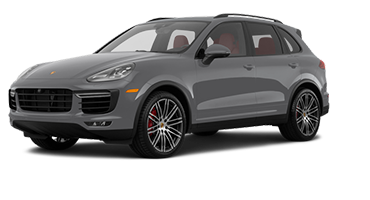 Factor in the Porsche Stability Management system, and you’re in for a ride that offers jaw-dropping power and tight control. 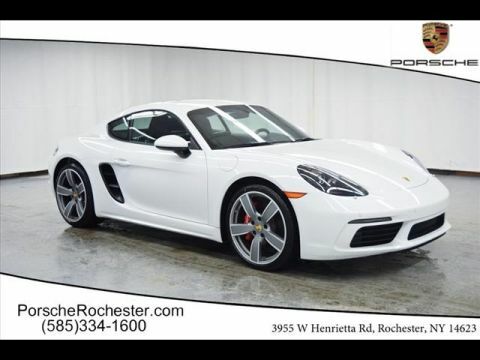 Seeing is believing, so schedule to test drive the new Porsche 718 Cayman with Porsche Rochester today. Fall in love with the new Porsche 718 Cayman’s distinct, sporty styling. This elegant coupe will be a head-turner wherever it goes, thanks to its sweeping body lines, Bi-Xenon Headlights, and eye-catching color palette. Even from a distance, the new Porsche 718 Cayman is undeniably Porsche. Contemporary elegance meets classic sports car style, courtesy of an aerodynamic body composed of sculpted curves and striking lines. Carved into the front-end of the Porsche 718 Cayman are the prominent Bi-Xenon headlights that cast bright light further than traditional halogen bulbs. The 718 Cayman also features LED Daytime Running Lights and LED taillights, ensuring this coupe is impossible to ignore. 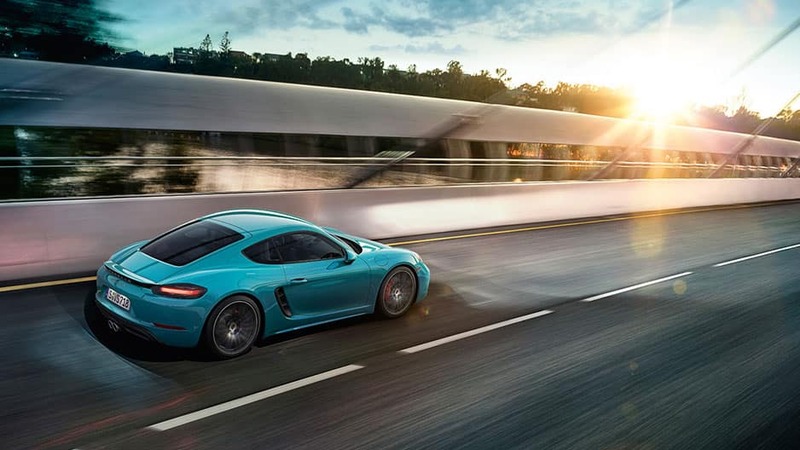 For those rare moments when you’re not dominating the streets or tearing up the racetrack, the new Porsche 718 Cayman provides undeniable curb appeal courtesy of eight unique 18-inch wheel designs. 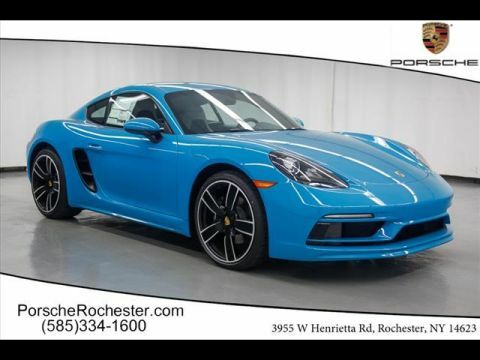 The new Porsche 718 Cayman allows you to express your unique personality with a choice of 13 stunning colors and the option to create custom colors if you’re not seeing any that catch your fancy. Featured on the sides are the Porsche 718 Cayman’s large air intakes. The sculpted contouring of the doors sends headwind into the intakes, providing the optimum amount of air into the turbocharged engine. Cruise through the city streets from the lap of luxury in the new Porsche 718 Cayman. Featuring a driver-oriented cockpit that’s focused on outstanding performance, the Porsche 718 Cayman makes even a regular morning commute a thrilling adventure. Slip behind the wheel and discover a cockpit designed with driver performance in mind. Crafted with premium materials such as genuine leather and Alcantra®, a striking dashboard and an ascending center console, the new 718 Cayman is just as stunning inside as it is on the outside. 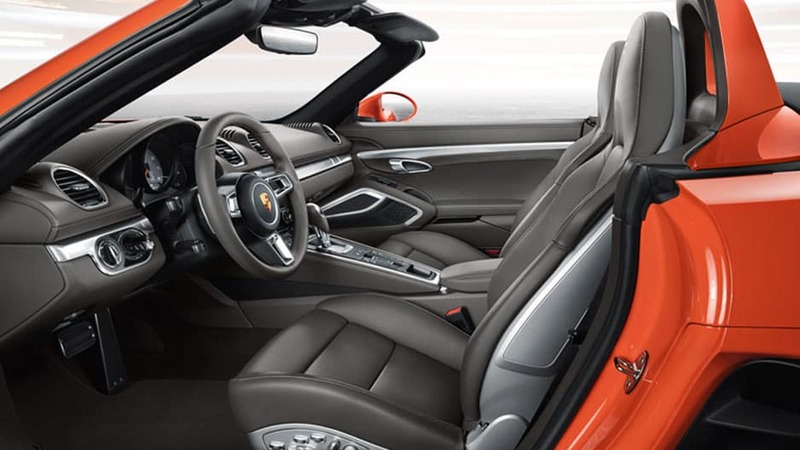 The new Porsche 718 Cayman features bolstered sport seats that provide comfort and support on every drive. Opt for the available heated seats and let the 718 Cayman wrap you in warmth on chilly morning commutes. For a more dynamic driving experience, opt for the available GT Sport Steering Wheel in the new Porsche 718 Cayman. This steering wheel is smaller in diameter and features the Porsche logo in the center. You and your passenger ride in comfort with the Porsche 718 Cayman’s available Two-Zone Automatic Climate Control system. This system provides separate controls for you and your passenger so you can each choose an individual temperature for your side of the cabin. The new Porsche 718 Cayman optimizes its available space to provide two luggage compartments. The front compartment holds 5.3 cubic feet, while the rear compartment accommodates up to 9.7 cubic feet of storage. Load your bags and head out on your next weekend getaway. The connection to the road is just the beginning in the new Porsche 718 Cayman. 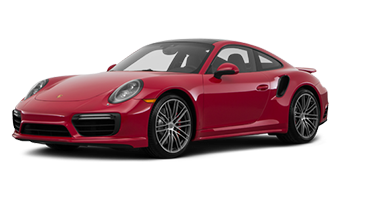 Courtesy of its Porsche Communication Management system, this innovative coupe ensures you’re never out of the loop again — no matter how far you drive. Connect your mobile device via Bluetooth™ or a USB port and enjoy easy access to your favorite apps right from the high-resolution touchscreen. The system also allows you to answer calls and texts hands-free, so you stay in the know without having to pick up your phone. The new Porsche 718 Cayman lets you bring the concert on the road with you, courtesy of the Burmester® High-End Surround Sound system. This state-of-the-art system uses 12 amplifier channels, 12 speakers, and an active subwoofer to provide you with crystal-clear audio on every drive. In the instrument cluster is the Porsche 718 Cayman’s 4.6-inch multi-information display screen. This screen displays navigation information, various warnings, and audio settings. Download the Porsche Car Connect app on your smartphone or Apple Watch® and have convenient access to the Porsche 718 Cayman’s vehicle data and functions from anywhere. 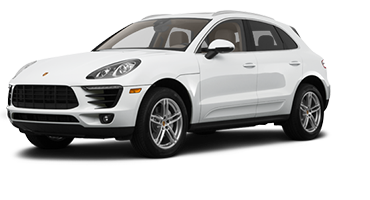 Opt for the available Porsche Entry and Drive system and forget about digging around for your keys. As long as your keys are on you, you can open the 718 Cayman’s doors and start the engine without touching the key fob. Wherever the road takes you, travel with peace of mind in the new Porsche 718 Cayman. This coupe doesn’t play around with your safety with advanced features such as Adaptive Cruise Control and Lane Change Assist to help up your safe-driving game. While you do everything you can to detect and prevent collisions, sometimes the unthinkable still occurs. If it does, the Porsche 718 Cayman has you covered with its advanced airbag technology, and full-size driver and front passenger airbags that inflate in two stages relative to the severity of the crash. Reversing out of any tight parking spot is a breeze in the new Porsche 718 Cayman thanks to the standard rearview camera. Place the 718 Cayman in reverse and the display screen will show a live feed of the area behind you. Using four sensors in the front and rear, ParkAssist on the Porsche 718 Cayman detects when there are obstacles around the vehicle and warns you with an audible alert if you’re getting too close to one. 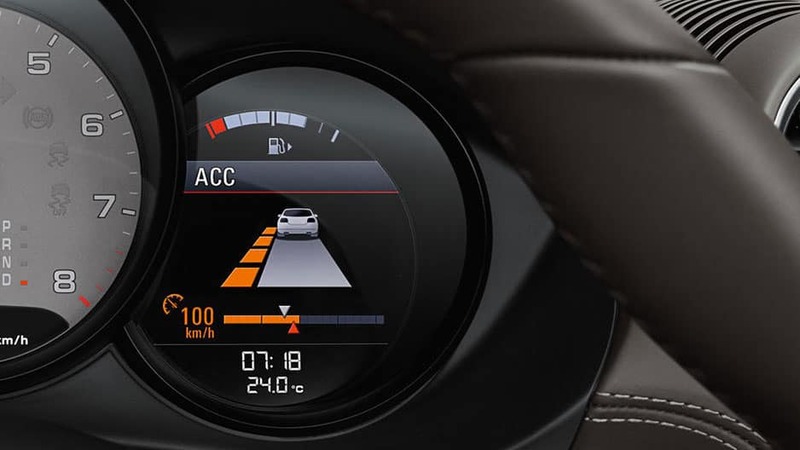 With the available Lane Change Assist, the 718 Cayman monitors the area around it and alerts you with a visual warning on the side-view mirror when a vehicle enters your blind zone. This available system controls not just the Porsche 718 Cayman’s cruise control speed but its following distance too. When it detects you approach a slower vehicle, it automatically slows the 718 Cayman down to maintain a set following distance and then accelerates to the original speed when that vehicle is no longer detected. Get ready to travel at the head of the pack in the new Porsche 718 Cayman. This stylish coupe has the exciting power and nimble handling you want in a sports car, ensuring you always come out ahead. 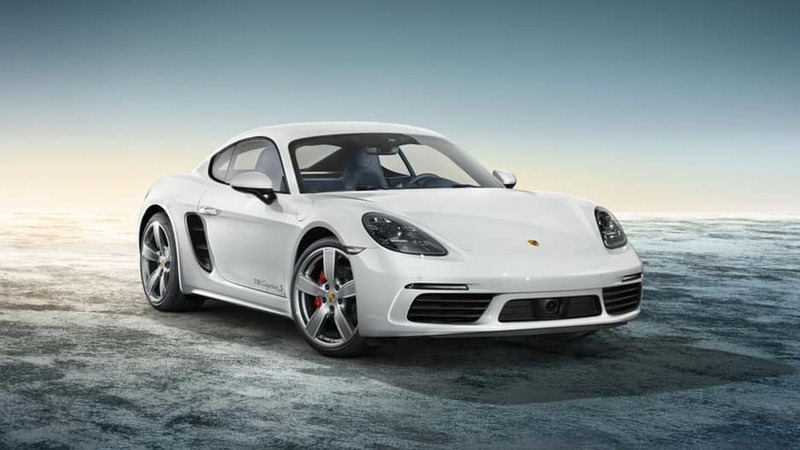 The new Porsche 718 Cayman owes its impressive straight-line performance to its standard 2.0-liter turbocharged boxer engine that boasts up to 300 horsepower and 280 pound-feet of torque. When combined with the Porsche Doppelkupplung transmission, the 718 Cayman sprints from 0 to 60 mph in 4.7 seconds. 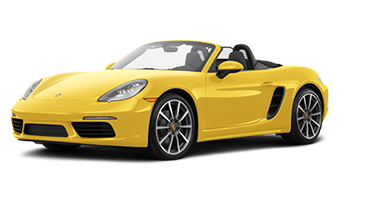 The 718 Cayman S features a 2.5-liter turbocharged boxer engine that’s sure to get your adrenaline pumping with 350 horsepower and a maximum torque of 309 pound-feet. With all that extra power, the 718 Cayman leaps from 0 to 60 in 4 seconds. 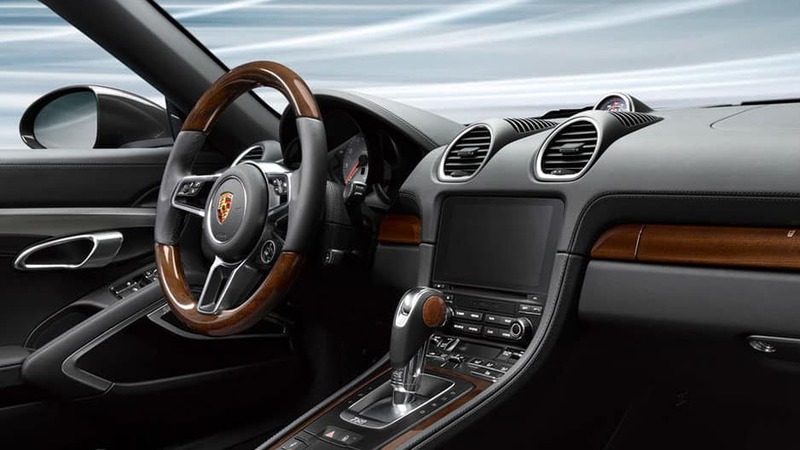 With the option to select between a manual and automatic mode, seven-speed Porsche Doppelkupplung transmission provides quick gear changes that don’t interrupt the flow of power. Opt for the available Porsche Active Suspension Management system and choose how the 718 Cayman drives. With the “Normal” mode engaged, you’ll experience the optimum blend of performance and comfort. “Sport” mode provides tighter handling. Always maintain tight control in the Porsche 718 Cayman with the Porsche Stability Management system. The system provides improved traction on inconsistent road surfaces for a higher level of stability and safety. Strap in and hold on tight in the new Porsche 718 Cayman. It’s contemporary and elegant styling matches the fierce turbocharged engine under the hood that takes you from 0 to 60 mph in less than five seconds. Combined with the Active Suspension Management system for tight handling and the Porsche Doppelkupplung transmission for fast gear shifts, the 718 Cayman makes every road feel like you on the racetrack. The new Porsche 718 Cayman keeps you connected on every drive with its Porsche Communication Management System. Sync your mobile device and never worry about missing important business calls again with hands-free calling or play your favorite soundtracks through the Burmester® High-End Surround Sound system. These are just a few ways Porsche designed the 718 Cayman with the driver’s enjoyment in mind. 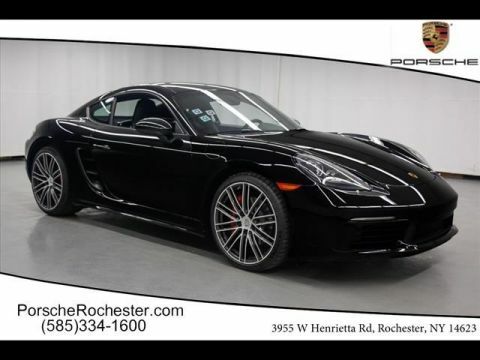 Experience this beauty for yourself by scheduling a test drive at Porsche Rochester today.